Nowadays, many people are allergic to mold, dust, and pollen, all of which can lead to irritation, swelling, congestion, and post nasal drip. Unfortunately, when there is a persistent buildup of mucus in the sinus cavity, sinusitis can occur, resulting in discomfort and infections. Luckily, there is a way to help improve respiratory ailments stemming from allergies, hay fever, the common cold, bronchitis, and asthma. This can be done using irrigating your sinuses, as there is a lot of nasal irrigation benefits to take advantage of. An ancient technique, nasal irrigation or sinus irrigation is a simple procedure that clears mucus and other debris from the nasal passages, reducing inflammation and allowing you to breathe more clearly. Allergens, pollutants, and debris constantly assail your respiratory system on a daily basis, but nasal irrigation is a simple and effective way to keep your sinuses and nasal passages clean. If you are looking for a way to support your overall respiratory health, learn more about nasal irrigation benefits. • Sinus irrigation can help wash away pollen, mucous crust, dirt, and other allergens from your sinuses and nasal passages. • If you often experience nasal dryness, nasal irrigation can help provide you with some soothing relief. • Nasal irrigation is an excellent way to help reduce nasal swelling, shrinking mucous membranes, thus improving your ability to breathe. • Irrigation can help increase the flow of mucus, allowing you to have clear sinus passages. • If you are looking for a way to reduce your unwanted snoring habit that’s caused by congestion, nasal irrigation may do the trick by helping you get rid of your sinus congestion. 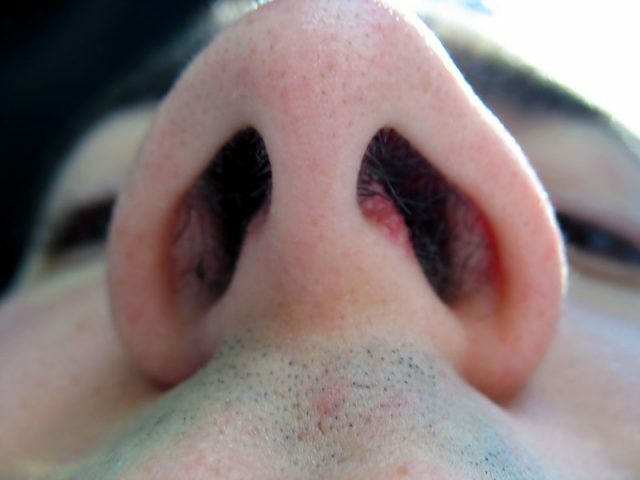 • Nasal rinsing is a natural way to help support a healthy respiratory system. • As long as you don’t overdo this irrigation method, rinsing out your sinuses can help prevent sinus infections. It is important to note that despite the benefits of nasal irrigation, using this method too much can be detrimental in the long run. If nasal irrigation is used on a long-term basis, you can actually strip your nose of its antimicrobial agents, leaving you more susceptible to sinus infections. Instead, use this method on a limited basis, limiting its use to only when an infection is present. Also, if you are interested in nasal irrigation, you should first discuss this with your doctor to find out if practicing nasal rinsing is the correct solution for you.